This engraveable brass heart key ring makes a great gift or promotional item. 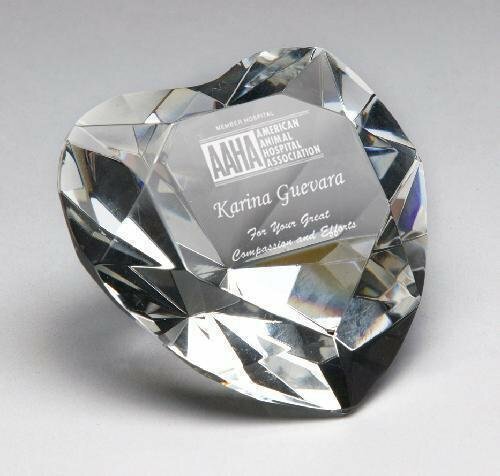 Attached to a 1-1/4" ring, it can be engraved to commemorate a special occasion or event, or add a logo and your company information to promote your business or organization. 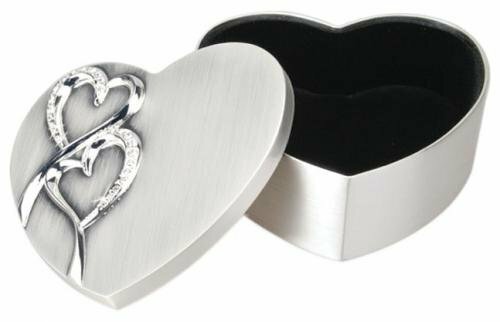 Add that special touch to your wedding decor and preserve memories of your wedding day with this silver heart shaped trinket box. The box is lined in black velvet, and the lid features entwined hearts and leaves room to add the names of the happy couple and the wedding date or whatever you wish to commemorate your special day.